We are the industry leader Manufacturer, Supplier and Exporter of high quality Thumb Break Holsters in Beijing, China. The range of it includes Thumb Break Holster Pistol 17-23 and Pistol M1911. Manufactured using superior quality materials, they very effective in carrying pistols. 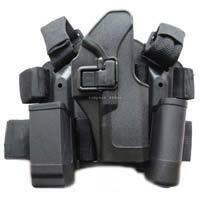 It is specially designed to hold pistols and provides ultimate fixation without blocking the usage of pockets. 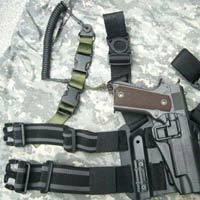 The Holsters are available at very reasonable price for the convenience of buyers.